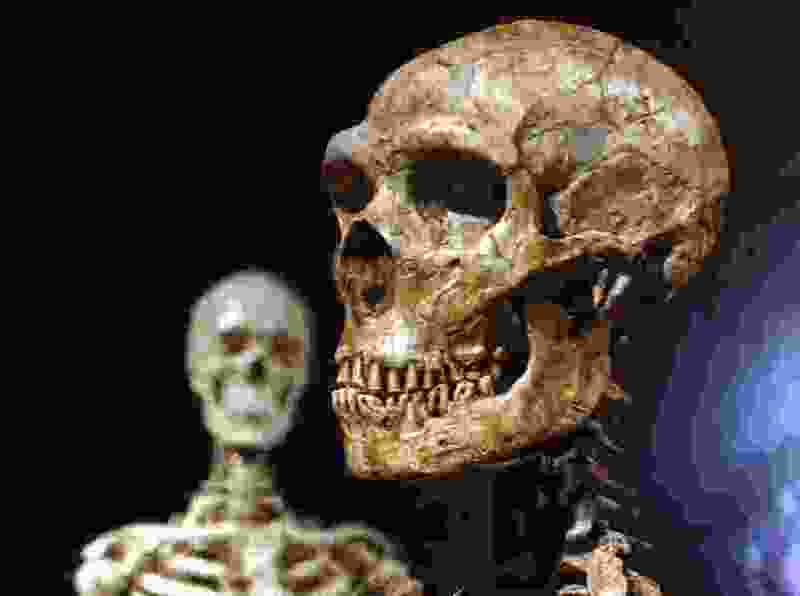 (Frank Franklin II | The Associated Press) This Jan. 8, 2003 file photo shows a reconstructed Neanderthal skeleton, right, and a modern human version of a skeleton, left, on display at the Museum of Natural History in New York. Languages evolve as societies develop and change, but the sounds we utter are also shaped, literally, by the placement of our jaw – and that is influenced by how we chew our food, researchers say in a report released Thursday, March 14, 2019, in the journal Science. I learned many things, in school and beyond, that have helped me understand the world, people, culture. They help me value other perspectives. In third grade we studied Greek mythology. In college I took classes on folklore, folk music, and urban legends. A hospital pediatrician respectfully told me about an eagle feather a Native American family attached to their premature baby’s isolette. A clinic nurse practitioner explained how we have benefitted from safe alternatives developed so that people with religious prohibitions to blood products can receive many treatments. Nursing school taught different cultures’ health practices. My family and religion gave me foundation. Staying informed on current local, regional, and global happenings. Science curriculum should teach: The scientific process, the hierarchy of evidence, the history of science, physics, chemistry, biology, astronomy, paleontology, geology, anthropology, etc., based on rigorous scientific standards. Perhaps an elective course could be developed on various world religions’ teachings about God, creation, the universe, man’s place in it and the meaning of life. Incorporating only some Christian beliefs into science classes would not only do a disservice to science, but could violate the Constitutional prohibition on establishing a state religion. Letter: Are Asians not people of color?